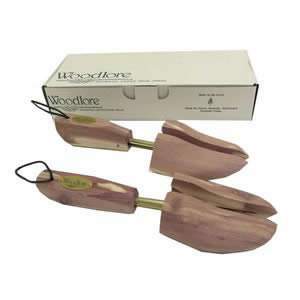 One Pair of Woodlore Ladies' Cedar Shoemate Shoe Trees. 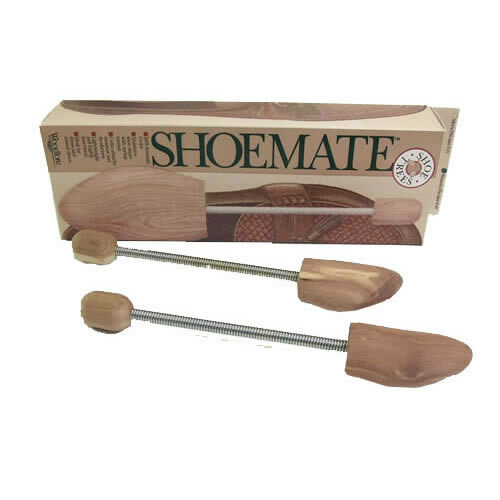 Made of 100% aromatic Cedar, these Shoe Trees will fit all Ladies' shoe sizes and they maintain the shoe shape with spring tension. 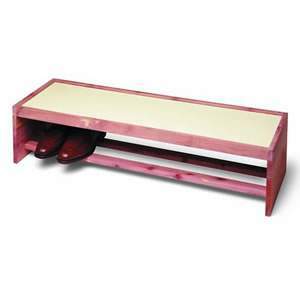 Choose Cedar when you buy shoe trees, as it absorbs moisture and deodorises the shoes.